KASARA RESORTS RESIDENCES near in TIENDESITAS, ORTIGAS & C5 walk a few steps from home to SM Supercenter Pasig for your weekly groceries or to Tiendesitas for your daily shop-and-dine cravings. 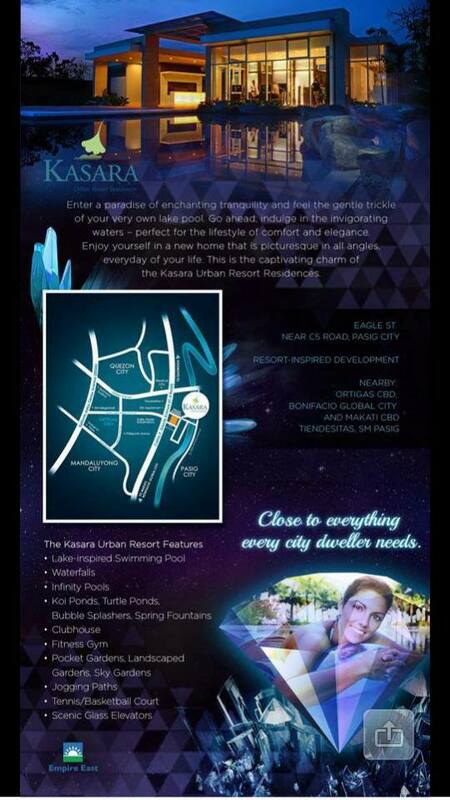 Kasara s gates at Eagle Avenue and P.E. Antonio Street give an instant access to C5 road that easily Breezes you to ortigas Center, Eastwood City, Bonifacio Global City and makati CBD.